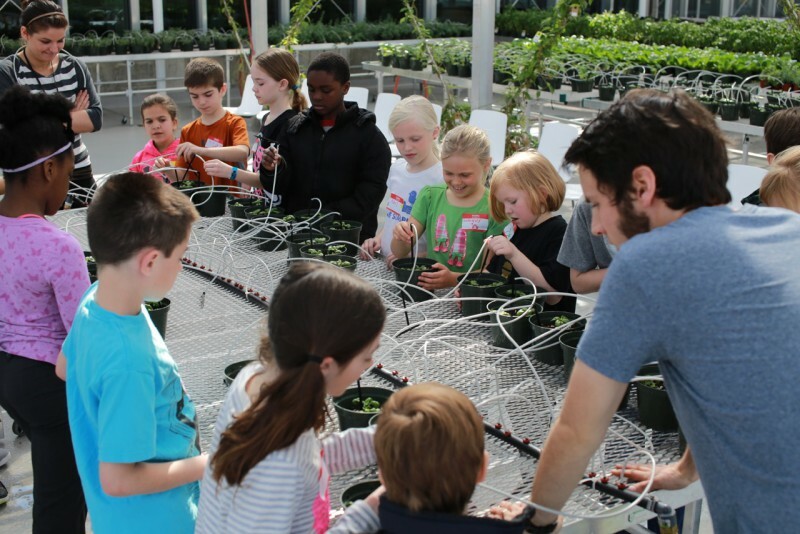 From harvesting in the greenhouse to hands-on cooking in the teaching kitchen, kids camps at the Downtown Market are designed to help young people learn where their food comes from and how to turn it into meals they love. 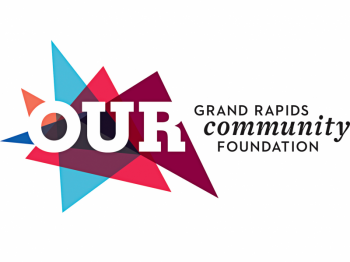 The Grand Rapids Downtown Market has made it their mission to help residents learn about what we eat, where it comes from and the effect it has on our bodies. Education takes on more than one form with the Market’s many kitchens, greenhouse and built-in local food retail options. From public classes for adults and couples to private team-building lessons and cooking competitions, learning is part of the fun. Once again this summer, children and teens are already getting involved with Simmer Camps, a play on summer camps that focus on fresh food and chef skills. Students of various ages can learn to cook, bake and harvest their own ingredients at Grand Rapids Downtown Market Simmer Camps. They will gain new culinary skills in the Downtown Market’s teaching kitchen and greenhouse while also learning about plants, gardening and community. 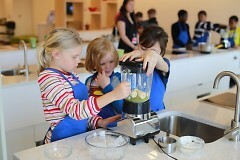 The state-of-the-art teaching kitchen, the nation’s first of its kind, features adjustable-height countertops and screens at each workstation connected to the camera at the instructor station for a close-up view of the chopping, sautéing and simmering. Basic kitchen knowledge like knife skills and herb identification are part of the learning. 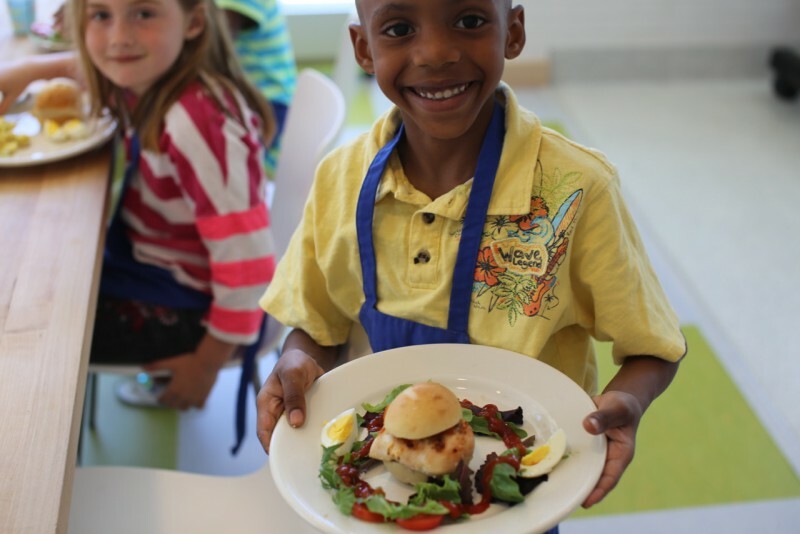 Through fun hands-on activities and practice, young chefs are learning not just to make certain recipes but skills that form the basis of a culinary education. Three-day camps for kids explore adventurous weekly themes for kids age 6-11. From discoveries in the greenhouse to hands-on cooking in the teaching kitchen, Simmer Camp pairs activities and recipes with inspiring weekly theme and stimulates inventive imagination and creativity. Kids camps run through August 20, Tuesday-Thursday, 10 a.m. – 2 p.m. Topics range from urban farming, world cuisines and seasonal produce to plants and natural substances that give us energy. Registration closes each Monday at noon prior to the camp beginning but some are already selling out, so signing up early is highly recommended. A series of palate-stimulating, hands-on cooking workshops for teens age 12-15 include in-depth culinary exploration and ingredient selection from the greenhouse. Teens will also learn the essentials from menu design to enhancing flavors and everything in between. Simmer Camp encourages teens of all experience levels to come to the Market and discover new and exciting skills and flavors. Camps run from July 14 - August 27, Tuesday - Thursday, 10 a.m. - 1 p.m. Themes include culinary essentials, cuisines from around the world, using local seasonal produce and how to recreate some trendy street food and food truck recipes. Registration closes each Monday at noon prior to the camp beginning but some are already selling out, so signing up early is highly recommended. Registration is online for all Downtown Market camps.